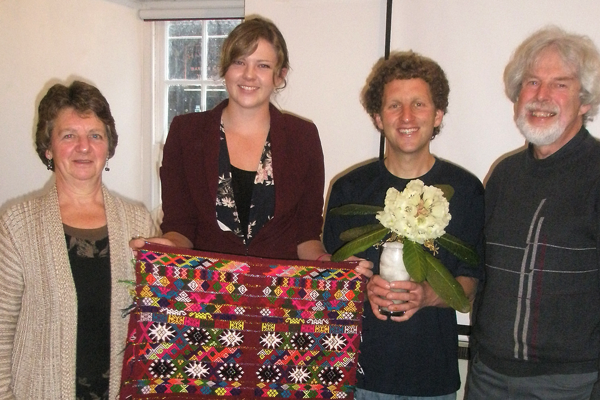 Agan Tavas held its first talk in Cornish in Murdoch House in Redruth on Saturday 9th. May. Wella Chubb spoke about his trip with his girlfriend and other people from many parts of the world to Bhutan to search for plants. He had amazing photos of the country, of the local people and of the vegetation. There was a collection for Nepal, devastated by an earthquake two weeks ago, which is not far from Bhutan. It was splendid to hear fluent Cornish and learn all about this beautiful region. We hope to hold more talks in Cornish in future. Watch this space.